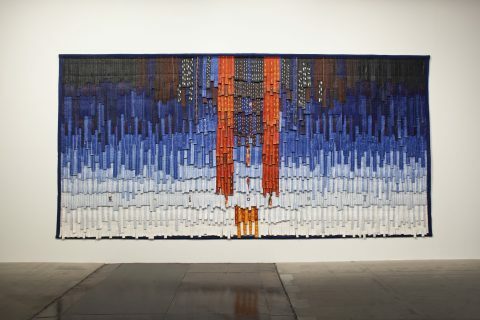 Work by Abdoulaye Konaté (b.1953 Diré, Mali) primarily takes the form of textile-based installations that explore socio-political and environmental issues, as well as showcasing his aesthetic concerns and formal language. Konaté questions the way in which societies and individuals, both in Mali and beyond, have been affected by factors such as war, the struggle for power, religion, globalisation, ecological shifts and the AIDS epidemic. 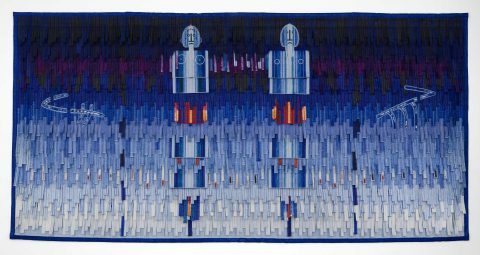 Employing material native to Mali, namely woven and dyed cloths, the artist creates large-scale abstract and figurative compositions. 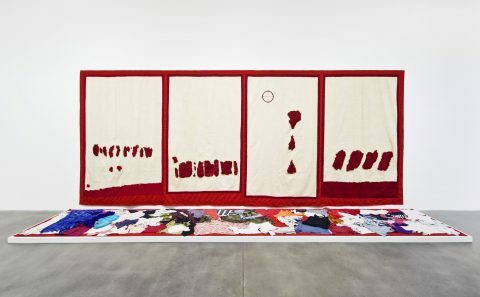 Konaté refers to the West-African tradition of using textiles as a means of commemoration and communication, balancing global political and social reflections with a reference to his own local and cultural history. Bloomberg TV’s 'Brilliant Ideas’ series looks at the most exciting and acclaimed contemporary artists at work today. Here Abdoulaye Konaté discusses his artistic process, the music and cultural heritage that inspires him and more. Konaté first studied painting at the Institut National des Arts in Bamako and then at the Instituto Superior des Arte, Havana, Cuba, where he lived for seven years before returning to Mali. In 2008, he was nominated for the Artes Mundi 3 prize, Cardiff. He has received several awards, including the prestigious Officier de l'Ordre National du Mali (2009) as well as the Chevalier de l'Ordre des Arts et des Lettres de France (2002) and the Léopold Sédar Senghor Prize at the Dak’Art Biennale in Dakar (1996). 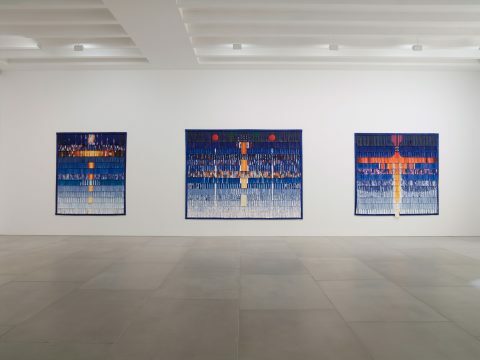 Konaté’s work has featured in numerous international exhibitions. Major group shows include Pulling at Threads, Norval Foundation, SA (2018); Mobile Worlds or The Museum of our Transcultural Present, Museum für Kunst und Gewerbe Hamburg, DE (2018); The Summer Show, Royal Academy of Arts (RA), London, UK (2017); L'Afrique en capitale, Musée Mohammed VI d'Art moderne et contemporain, Rabat, MA (2017); Eva International biennale in Limerick, IE (2016); ART_TEXTILES, The Whitworth, The University of Manchester, UK (2015); Streamlines: Metaphorical and Geopolitical Interpretations of the Oceans at Deichtorhallen, Hamburg, DE (2015); The Divine Comedy, Heaven, Hell, Purgatory revisited by Contemporary African Artists at the Museum für Moderne Kunst, Frankfurt, DE (2014), SCAD Museum of Art, Savannah, Georgia, US (2014-2015), and National Museum of African Art, Smithsonian Institute, Washington, US (2015). 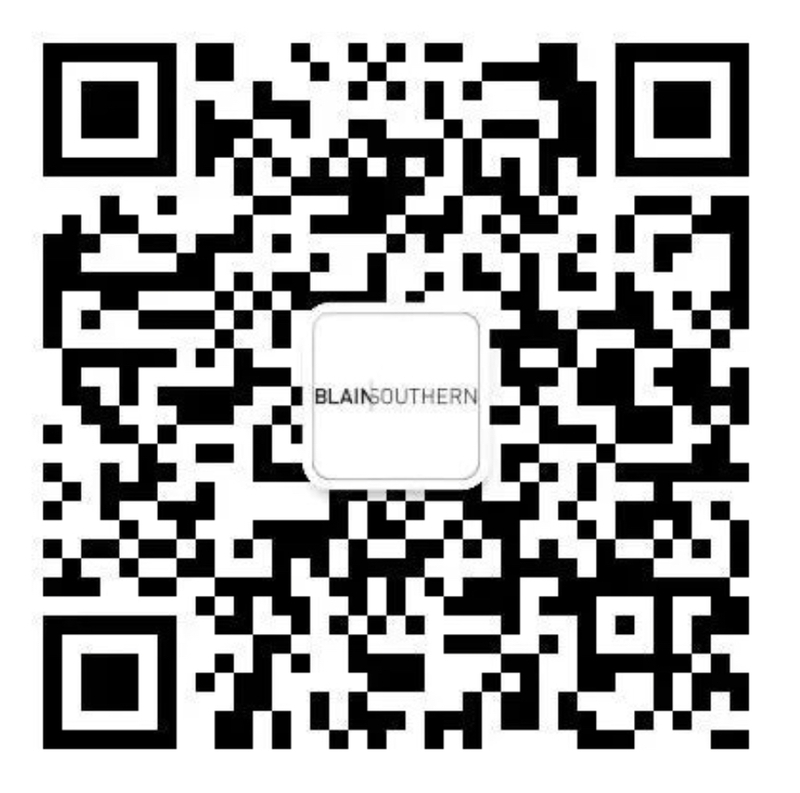 Recent solo exhibitions include a retrospective at Arken Museum for Moderne Kunst, DK (2016) and Symphonie en couleur at Blain|Southern London, UK (2016). 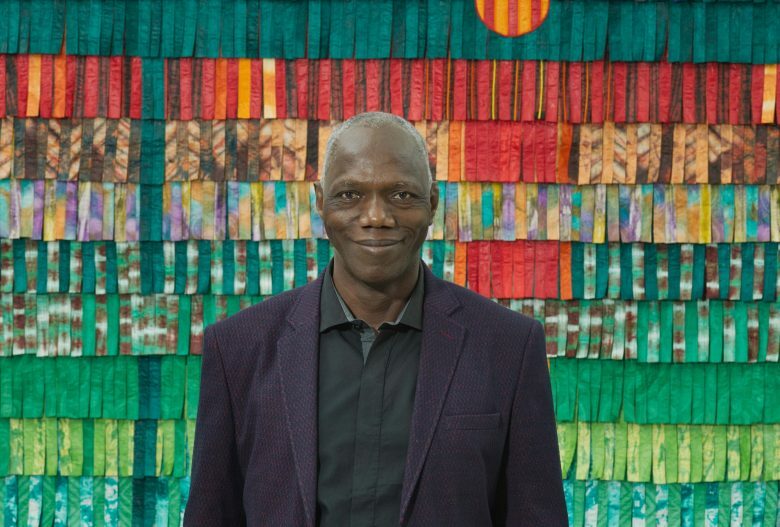 Abdoulaye Konaté has been selected to participate in the 13th Havana Biennial in 2019 and previously participated in Viva Arte Viva, the central exhibition in the 2017 edition of La Biennale di Venezia, curated by Christine Macel, chief curator of the Centre Pompidou in Paris. 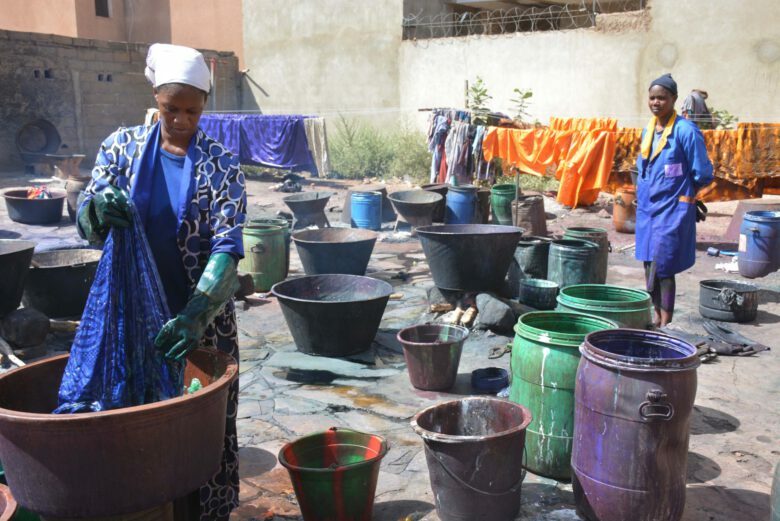 The artist lives and works in Bamako, Mali and he is the Founding General Director of the Conservatoire des Arts et Métiers Multimédia Balla Fasseké Kouyaté in Bamako.